In 2010, the World Challenge Championship kicked off at St. Petersburg, Florida in March as a support event for the IndyCar series. In previous years, the series shared race weekends with the American Le Mans Series but in 2010 World Challenge began sharing more events with IndyCar. 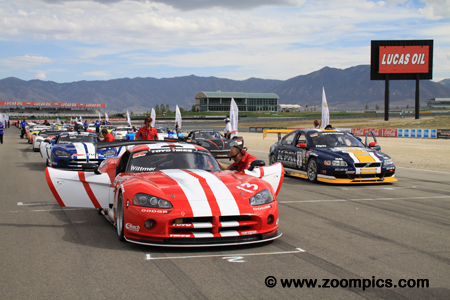 The season ended mid-September at Miller Motorsports Park. In all, there were a total of twelve races at eight different venues (Streets of St. Petersburg, Long Beach, Mosport, Watkins Glen, Toronto, Mid-Ohio, Virginia International Raceway and Miller Motorsports Park). 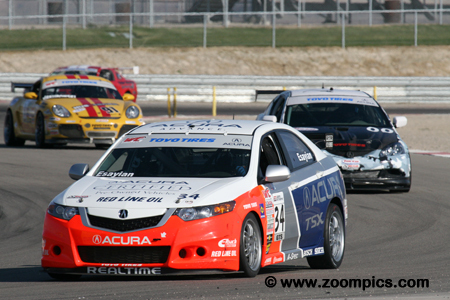 The final round of the 2010, World Challenge Championship was held at Miller Motorsports Park. Competitors would race for 50-minutes around the fifteen-turn 3.048-mile ‘Outer Course’. Thirty-five cars get ready for the start of the 2010 World Challenge season finale. 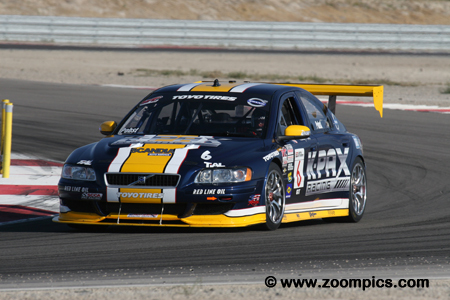 On the pole is Randy Pobst in the K-PAX Racing Volvo S60. Gridded next to Pobst is the No. 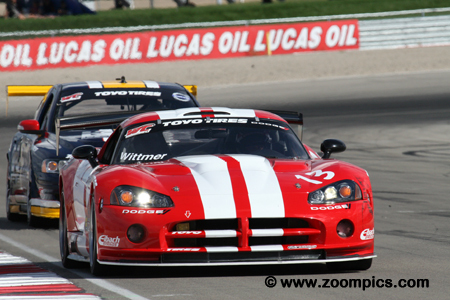 13 Dodge Viper of Kuno Wittmer. Behind the front row is Pobst’s teammate, Andy Pilgrim in the second K-PAX Racing Volvo S60 and Jeff Courtney in a Dodge Viper. Kuno Wittmer fell just 0.149-seconds shy of starting from the pole position and settled for second on the grid. At the outset, Wittmer chased race leader Randy Pobst until lap-9 when Pobst was slowed by a back-marker in turn five. Wittmer grabbed the lead but was challenged by Andy Pilgrim. He held on to win by 0.346-seconds and scored his second victory of the season. 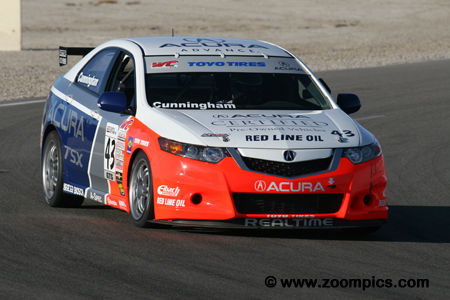 Touring Car rookie, Robert Stout entered the season finale with four wins and eight podiums but more import the Driver’s title. In qualifying, the new champion could only manage a sixth place. Stout redeemed himself the following day when he jumped into the lead on the opening lap. He battled Robb Holland and Taylor Hacquard until they retired on lap-10 - from there Stout went on to the TC victory. The RealTime principal, Peter Cunningham clinched the 2010 GTS title in the penultimate round at Virginia International Raceway. The new champion was on form at Miller and started from the class pole. This feat extended the record for career poles at forty-two and set a new single-season mark of ten pole positions. On the standing start, Cunningham fell to sixth in class but moved into the lead on lap-13 and claimed the victory. Starting third on the grid was GT competitor Andy Pilgrim. Pilgrim passed his K-PAX teammate Randy Pobst for second on lap-12. 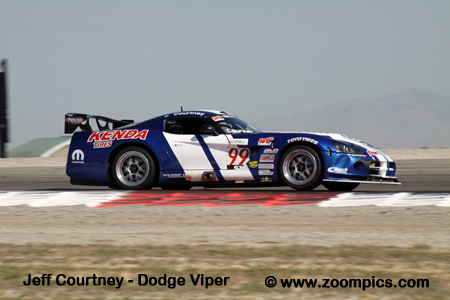 He chased the Dodge Viper of eventual race winner Kuno Wittmer and was second when the checkered flag fell. Pilgrim finished fourth in the final Driver Standings – scoring a win at Virginia International Raceway. 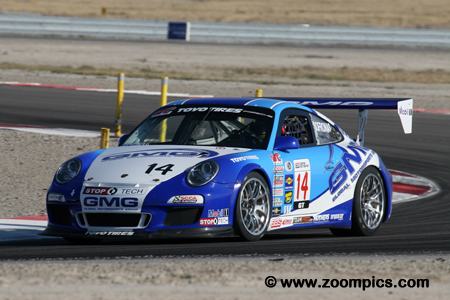 As usual, James Sofronas was the quickest of the Porsche entries. Sofronas started his 911 GT3 from the seventh grid position. During the race, he moved up the running order and finished fifth. Sofronas ended the season with one win and seven podium finishes. These results contributed to his third in the Driver’s Championship. 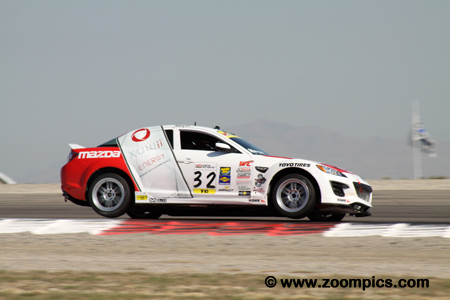 Third quickest in Touring Car was Eric Meyer driving a Mazda RX-8. Meyer drove a solid race and was third at the checkered flag. In his rookie season, he finished on the podium five-times and was second in the final Touring Car Driver’s standings. The second RealTime entry was driven by Nick Esayian. Esayian started and finished fourth in the No. 34 Acura TSX. He had a season that included nine podiums and his first World Challenge victory. Esayian finished second in the GTS Driver’s Championship. Defending Touring Car Champion, Pierre Kleinubing was making his first World Challenge appearance of the season. 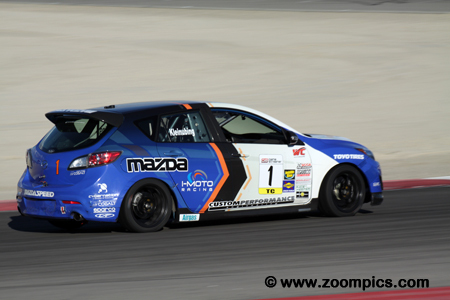 In 2010, Kleinubing moved to the Grand Am Cup series driving a MAZDASPEED3. He started fourth in class and during the race moved to second when Robb Holland and Taylor Hacquard encountered issues. Kleinubing held this position and finished 6.909-seconds behind the winner Robert Stout. 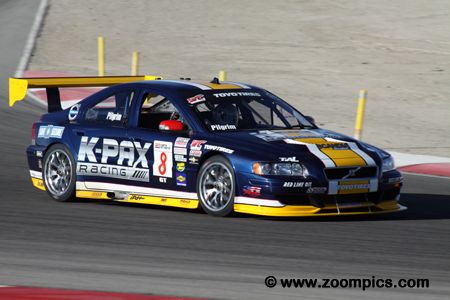 Qualifying fastest overall was Randy Pobst driving the K-PAX Racing Volvo S60. This was Pobst’s seventh GT class pole which tied a season record with Price Cobb and Terry Borcheller. 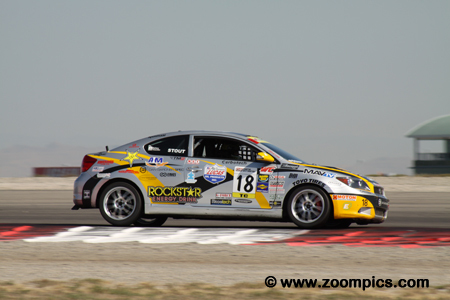 Pobst led the opening laps of the race but was eventually passed by Kuno Wittmer and his teammate Andy Pilgrim. He finished third but had wrapped up the Driver’s title at Virginia International Raceway. Local racer, Ben Crosland qualified second in GTS - 0.949-seconds behind class pole-sitter Peter Cunningham. The 17-year old, Crosland held the lead in the No. 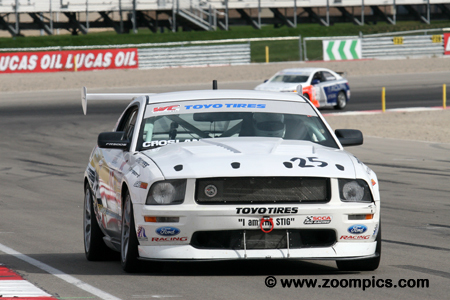 25 Ford Mustang FR500S until lap-13 when he was passed by the six-time World Challenge Champion Peter Cunningham. Crosland held on to finish in the GTS runner-up position. 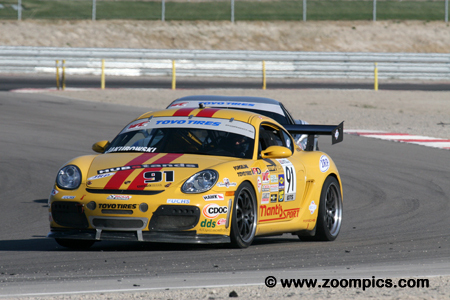 Canadian, Ernie Jakubowski qualified his Porsche Cayman S eighteenth overall and sixth in GTS. Jakubowski made an excellent start but cut a tire on the first lap and finished last in GTS. However, his performances throughout the season earned him third in the GTS Driver’s Championship and the ‘Rookie of the Year’ title. The season’s final World Challenge GT podium at Miller Motorsports Park. 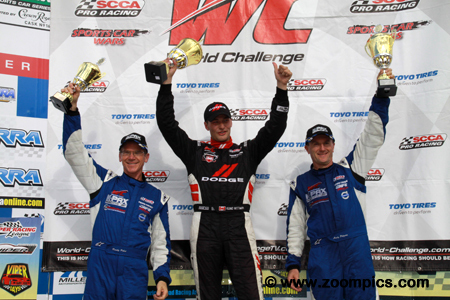 On the left is second place finisher Andy Pilgrim and at the right, pole-sitter and third place Randy Pobst. Between these two is Kuno Wittmer, who scored his second victory of the year.